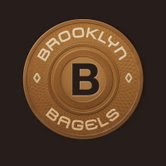 Hot on the heels of the "Brooklyn Water Bagel Co.," here's another entrant into the bagel brouhaha: Brooklyn Bagels, coming - sooner or later, like so many other places announce - to Midtown Miami. 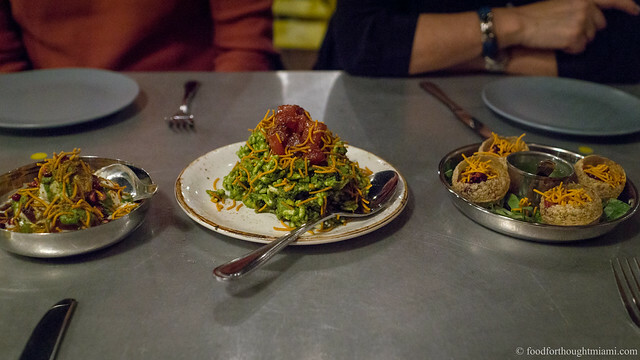 The press release says the owner, Ashraf Sahaltout, has "roots in Brooklyn for generations. " I could not, despite inquiry, get any info as to what NY delis he's been associated with. Press release also said that "a key ingredient he proudly utilizes is the pure city water shipped directly from New York." OK, bakers: how much water would you need to ship down from New York to really do that? As to whether New York City water is the all-important ingredient — the bread scientists I consulted were not convinced. A good bagel place would certainly be a valuable addition to the midtown Miami area. Maybe everyone should save their efforts in trying to use, or recreate, New York water, and just focus on making a better bagel. Anticipated opening date: December 2009. I'm always intrigued by the folks who are looking to franchise or expand before they've even established the success of one outlet. But more power to them if they make a good bagel. "Everyone has his or her own particular standards, but for me the crust has to be shiny and crunchy; the inside consistency chewy and slightly damp; the taste should be yeasty with a tangy bite, and the overall effect of eating a bagel should be that you feel like a stone has landed in your stomach — in the best possible way, of course." I dont care what anyone says, NYC tap water is nasty to drink. I couldnt care less if its in a bagel. Matter of fact, Im more apt not to eat a bagel if people are using NYC tap water as a selling tool. Just make a good goddamn bagel already. Haha, wait till CC has his usual playoff meltdown. Yanks are hitting well right now, I'll give you that. Sox will hopefully make it and Beckett will hopefully stop getting shelled in time. BM, if the Yanks face the sox in the playoffs we may need to hit Kelly's Landing for some Bourbon and Bellies. Chowdah too.. Frod u down for a 2009 boston massacre?? You must be smokin Angel Dust again man... Definitely will have to meet up for some bellies and bourbons though if the Sox face the Yanks. I think you'll each need to choose your "home field" - if it's Kelley's for the Red Sox, what'll it be for the Yanks? Frodnesor, you are all over this bagel-hype. It's easier to thread a camel through the eye of a needle than it is to find a good bagel.